The charity grants magical wishes to children and young people fighting life-threatening conditions. Whether they want to go on holiday or meet their favourite celebrity, Make-A-Wish will make their dreams come true. 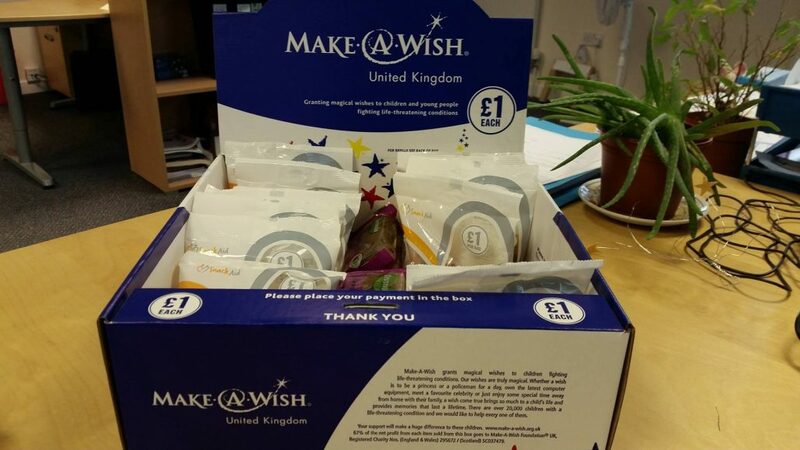 In our office we have a snack aid box which our staff can purchase some delightful treats from and the money will help a child fulfill their greatest wish.